The arrival of June signals the halfway mark through the year. However, there&apos;s plenty of shoes still to make their debut in 2014. June, in particular, is loaded with a wide variety of performance footwear releases that will make the summer more enjoyable for athletes. 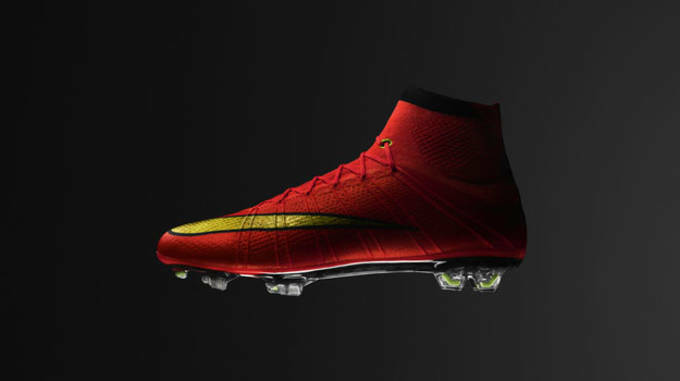 The World Cup begins this month, so you can already expect a heavy dose of soccer cleats. Though, ballers, runners and even skaters can take solace in knowing that June has something up its sleeve for them as well. Here are some key performance sneakers we&apos;re looking forward to this month. Puma will be looking to light up the soccer pitch this summer with a “Tricks” colorway of its two most popular cleats, the EvoSPEED and EvoPOWER. 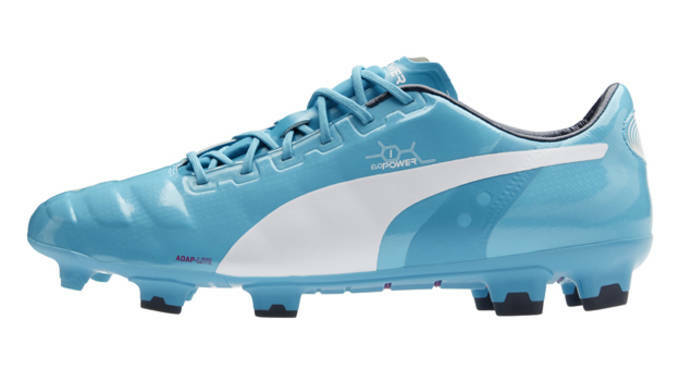 The vibrant silhouette is meant to represent the level of confidence Puma players like Mario Balotelli, Cesc Fabregas and Sergio Aguero play with. 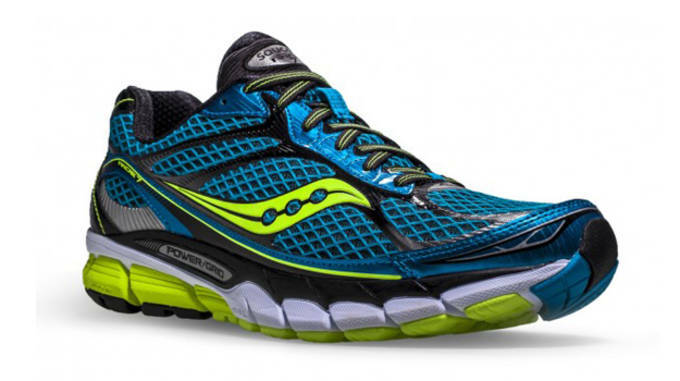 Saucony fans are in for the ride of their lives in June—literally. The running specialty brand will introduce the next installment of its highly successful Ride neutral trainer this month. While most of the shoe’s key features remain the same, a few minor tweaks give the Ride 7 even greater horsepower under the hood. 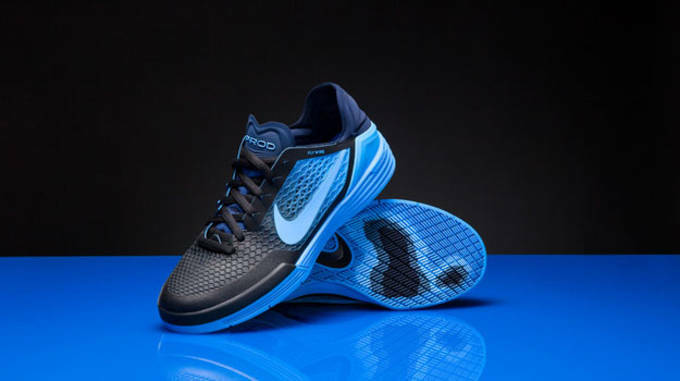 Eight years later and Paul Rodriguez’s signature shoe line with Nike SB is still going strong. This month, the Swoosh will finally make the P-Rod 8 available to skaters globally. The latest P-Rod shoe features all of the popular elements from the previous models, but with a more modern design that will likely appeal to the masses. It’s essentially a skate shoe trapped in a running shoe’s body. You know that dope new mid-top soccer cleat from Nike we’ve been talking about all year? Well it will finally make its way to the market in a couple of weeks. The Mercurial Superfly, which will be worn by some of the best soccer players on the planet at the upcoming World Cup, will be released just in time for the festivities in Brazil. Basketball season may be winding down, but Nike isn’t quite ready to slow down its on-court footwear offerings. 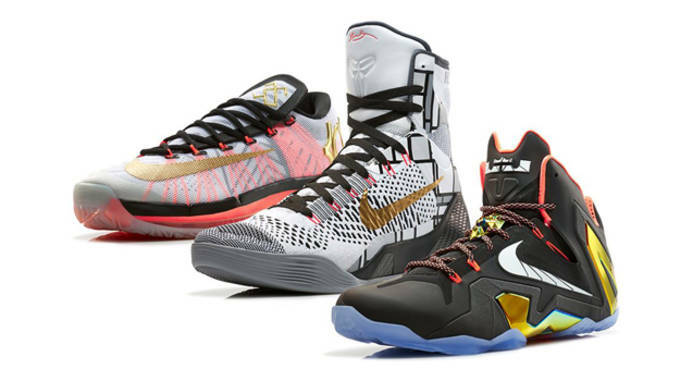 In just a few days, the Swoosh will release a blinged-out shoe pack that includes the LeBron 11 Elite, Kobe 9 Elite and the KD VI Elite in a “Gold” colorway inspired by the on-going NBA playoffs. 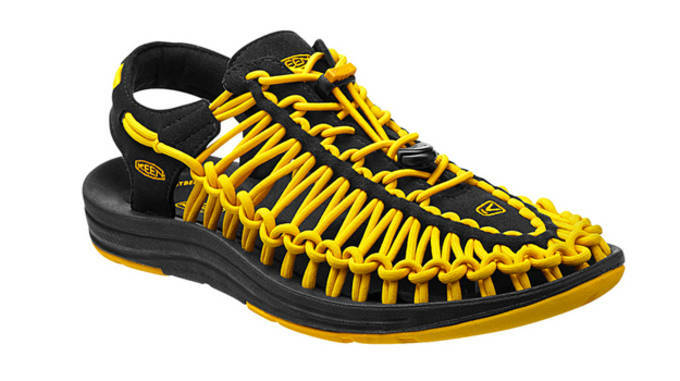 This month, Keen will release a brand new hybrid water shoe that is part-sneaker, part-sandal. While there is very little information known about the Uneek as of now, consumers should get a clearer picture of what the shoe is all about when it hits retailers later this week. Stay tuned.